Frozen Buko-Pandan Balls Recipe –A Quick and Simple Delectable Dessert! 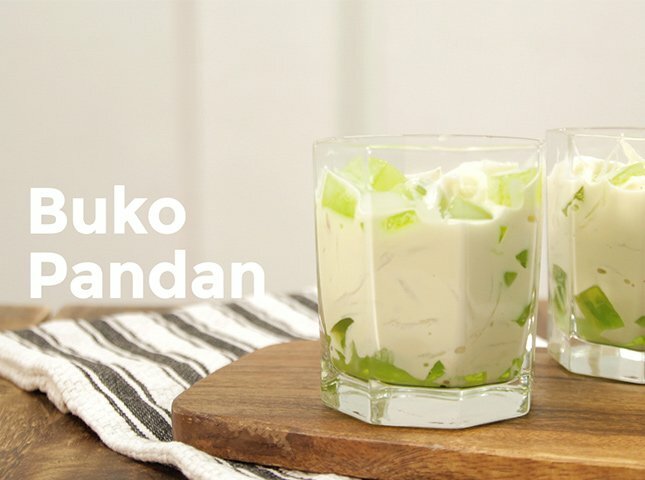 Here’s a new take on the classic buko pandan dessert. Try adding corn or mangoes to the mix, too! Make the pandan water: boil pandan leaves in 1 liter water for 40 minutes. Add pandan flavoring, if desired. Let cool. Combine gulaman and pandan water in a saucepan. Mix well until powder dissolves. Bring to a boil, stirring continuously. Pour mixture into a mold. Let set for 1 hour at room temperature. Slice into 1/4-inch cubes. Whip cream until light and airy. Mix in condensed milk, buko, and gulaman. Adjust sweetness with condensed milk. Freeze for 4 hours. Using a small ice cream scooper, scoop out balls from mixture and roll in niyog.